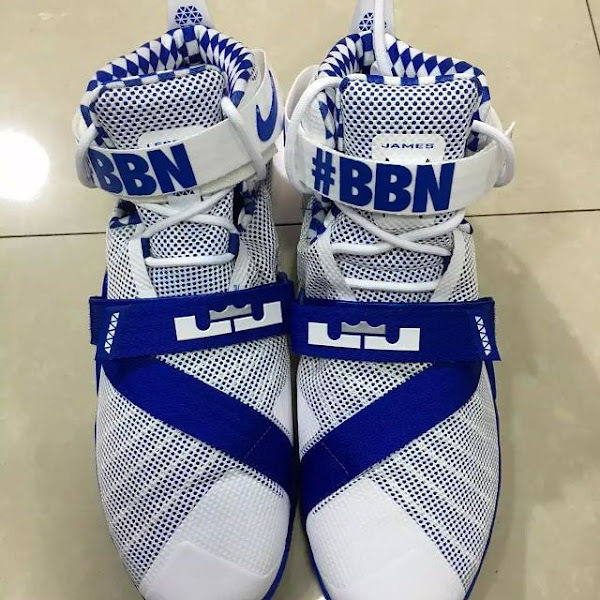 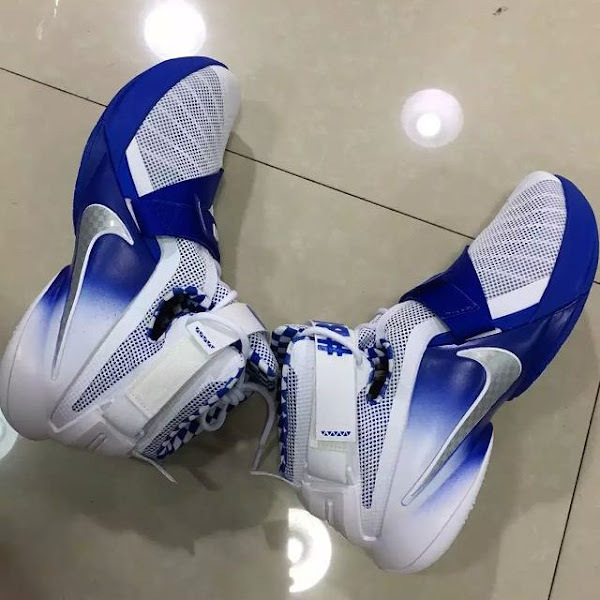 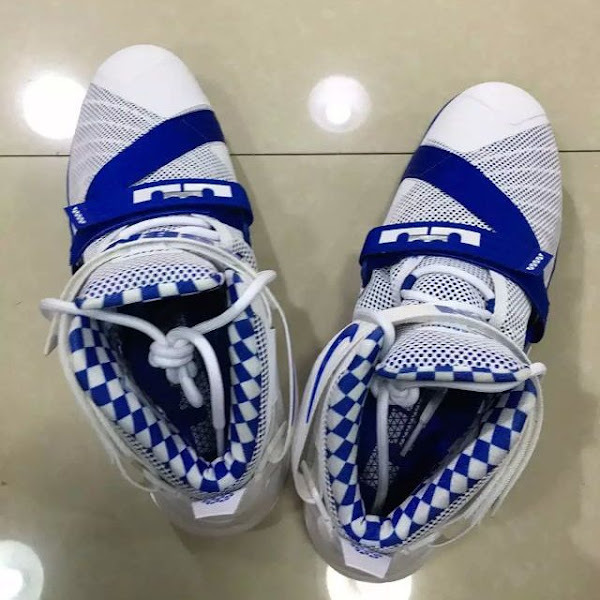 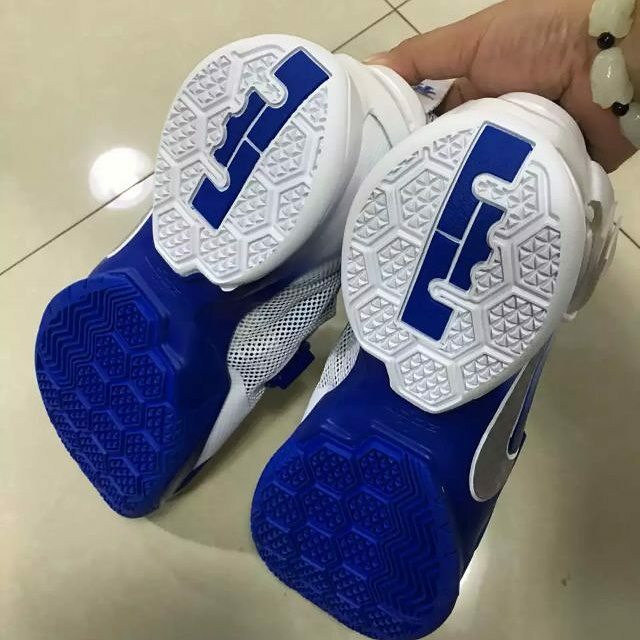 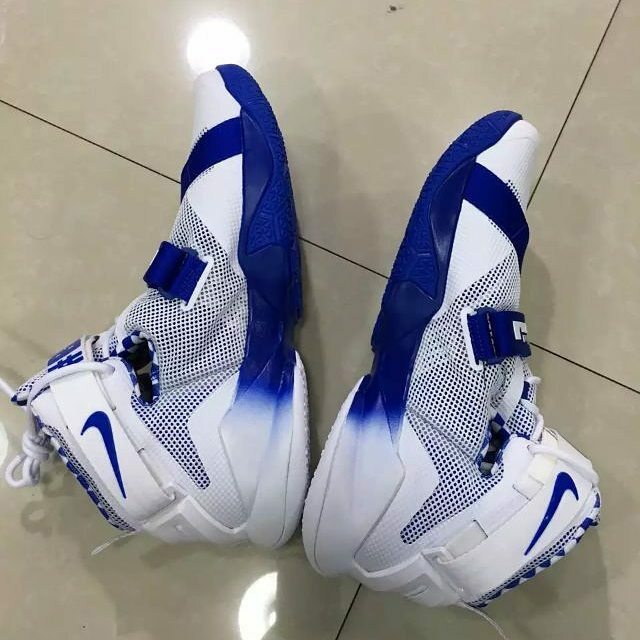 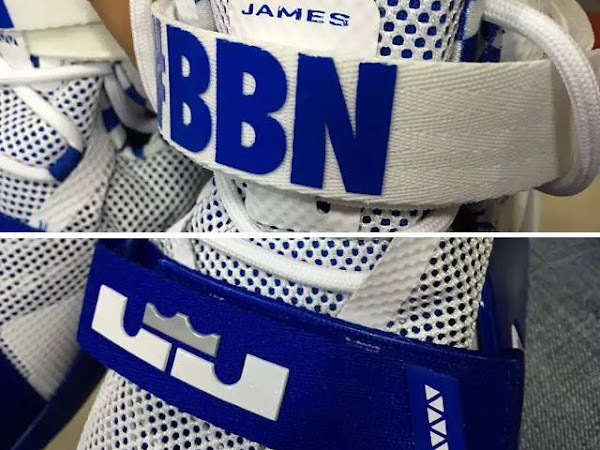 The Kentucky Wildcats are about yet another Nike LeBron PE to their impressive line up of exclusive LeBron James’ shoes. 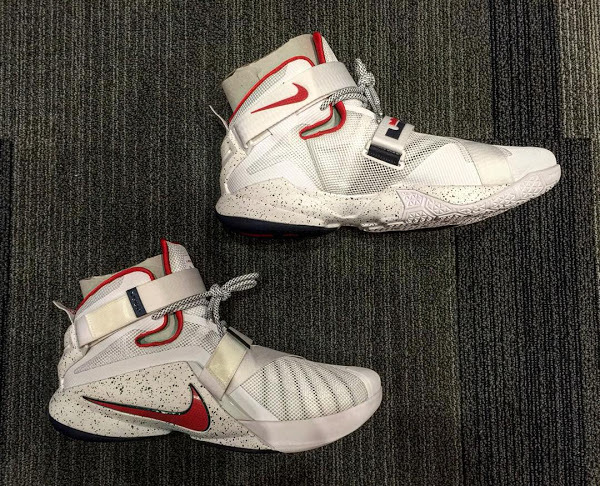 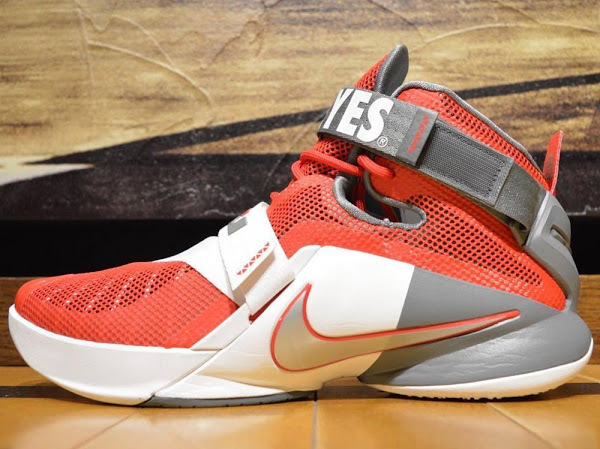 This time it’s the LeBron Soldier 9. 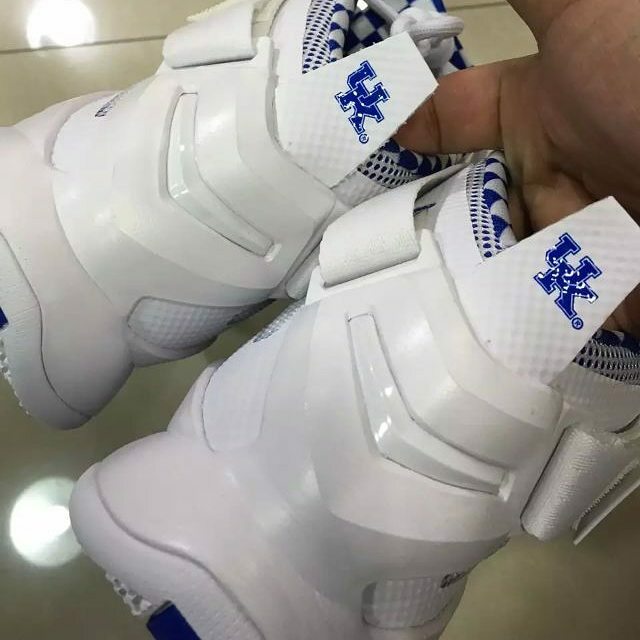 This new University of Kentucky PE is a simple White and Blue colorway, but it’s definitely one of a kind with the faded looks and a huge #BBN (Big Blue Nation) logo on one of the straps. 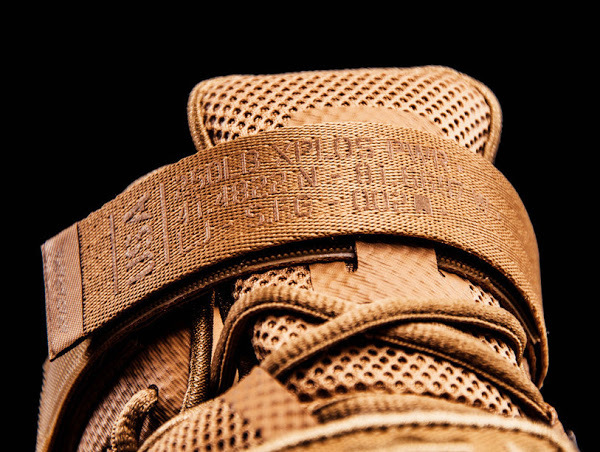 The school’s logo appears on the back of the shoe, but surprisingly enough the shoe might be heading to retail because the shoe tag reads 749490-104 and it’s a valid Nike style code that’s present at Finishline. 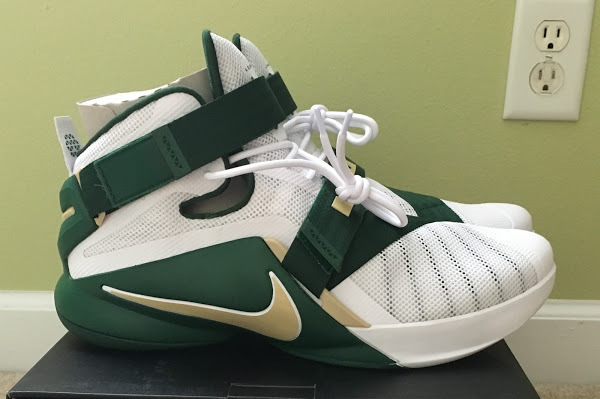 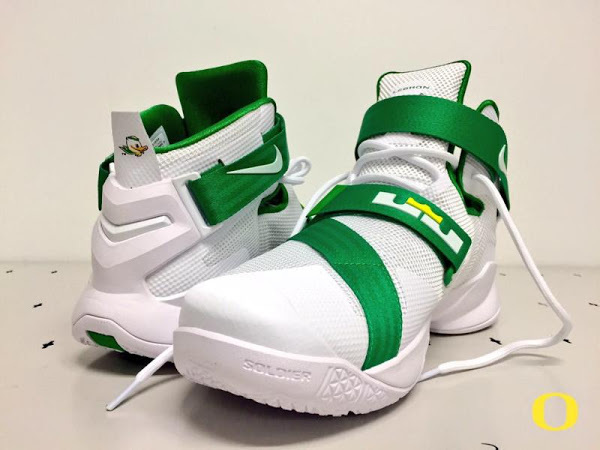 We don’t see Nike LeBron sponsored schools releasing their shoes too often so don’t hold your breath just yet and keep checking back for more updates.